My wife was traveling out of town this weekend and had a layover at the United terminal at the San Francisco International airport. While walking to her gate she came upon a art show they had at the airport which was a collection of vintage Japanese toys called “Japanese Toys! From Kokeshi to Kaiju.” Being the beautiful and incredible wife of a geek she thought “I’ll be Daniel and the AFi readers would dig this!” So, she shot the full display and sent me the pictures for us all to enjoy. 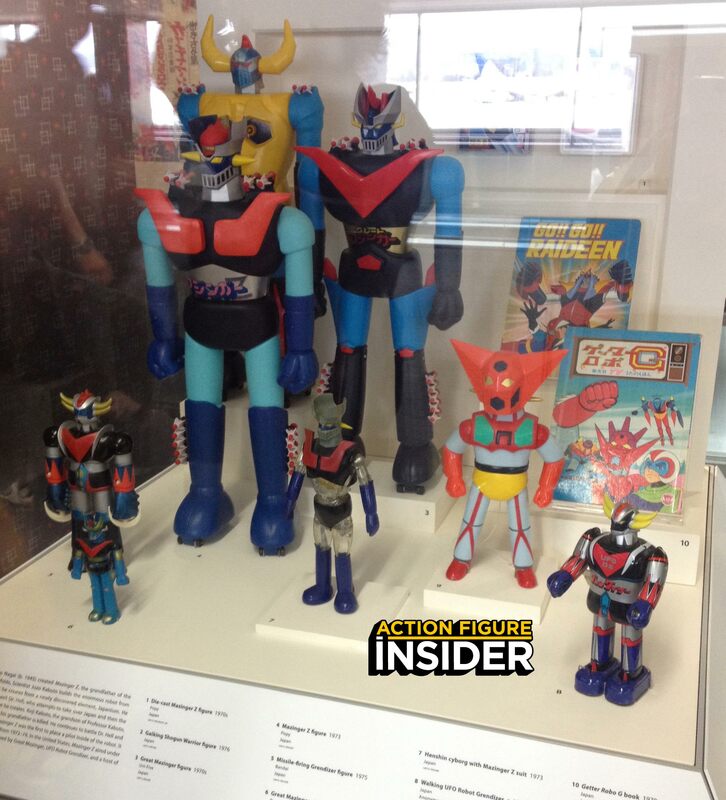 Japanese movie, television, and manga (comics) inspired legions of iconic character toys. Godzilla, the king of monsters, spawned from the atomic bomb’s aftermath, stormed onto the screen as the premier kaiju or Japanese monster in 1954. Ultraman, a futuristic television series introduced in 1966, featured a superhuman hero who battled a new kaiju each episode. The manga Astro Boy or Mighty Atom, about a child robot, made its debut in 1952 and prompted the first of many animated television programs in the 1960s. Later on, kawaii, which refers to all things cute, became a national obsession. One of the world’s most beloved icons, Hello Kitty, created in 1974 by Sanrio, remains as popular as ever. Thank you to Abby for shooting the whole installation for us to see!